This 4-week (10 hour) class will lay out the fundamentals in a fun and supportive environment. Learn the basics of this internatioanlly spoken gestural language! Students will learn to use the "basic 40" gestures as interpreted for musicians, actors, dancers...any performative discipline! Perfect for professional and amateur performers, alike. Bring instruments and clothes to move in as this is an on-your-feet class. No Soundpainting experience necessary! Just an open mind! Students will also recieve a copy of "Soundpainting Workbook 1" by Walter Thompson! Ages 18 and up. Sign up before March 10th for a $50 Early Bird discount! Use code "getstheworm" at checkout. *Deadline Extended* Sign up before April 15th for an Early Birdy $100 discount ! 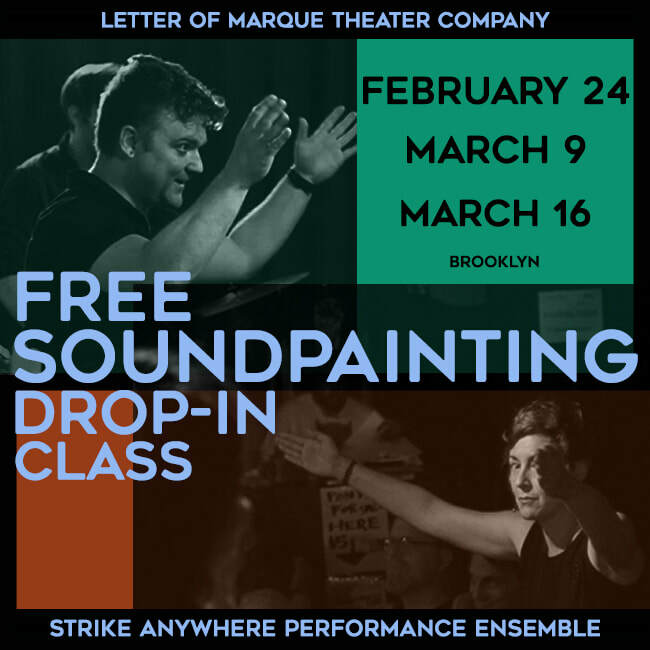 Over the course of a weekend (10 hours of instruction), students will review the first and second level signs, included in the Soundpainting Workbooks 1, 2 and 3, with in-depth explorations and detailed instruction of each gesture, both as performers and as the Soundpainter (composer). 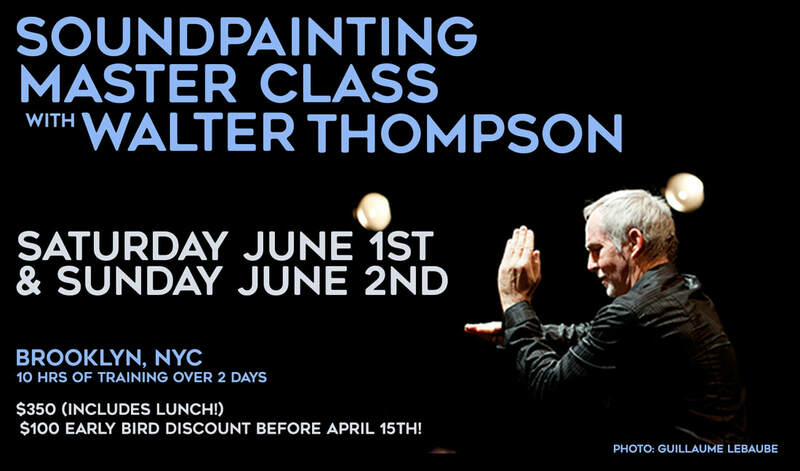 Taught by legendary composer and inventor of Soundpainting, Walter Thompson, this once in a lifetime class is an absolute must for the serious student. This is the first master workshop Thompson has led in the United States in nearly 10 years. This 2-day intensive is for the intermediate to experienced Soundpainter looking to hone and expand their techniques. Working knowledge of Soundpainting Workbook 1 is suggested. Ages 18 and up. ​Reserve your spot by clicking here! A new and exciting technique for expanding your skills as an actor, musician, dancer, or any other performative discipline! This 90-minute class will lay out the fundamentals in a fast-n-fun environment. Bring instruments and clothes to move in as this is an on-your-feet experience. Perfect for professional and amature performers, alike. No experience necessary! Just an open mind! Ages 18 and up. Nolan Kennedy Letter of Marque Theater Co. Perfect for performers of any kind!